Hi, and welcome to IRISHPUBS.NET website. As you can see, there isn’t awful lot to find here yet, but the goal is to have a site filled with Irish pub related stuff. 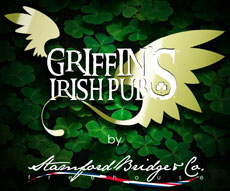 To help us in this work, you may email our editor telling him about your favourite Irish pub. He prefers pubs that are online with a website. 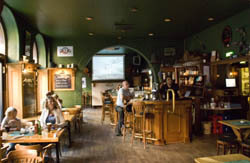 Located in the historic heart of Dublin, just minutes from Trinity College and Grafton Street, is O'Neill's pub, the perfect place for a quiet pint or the lively welcome this city is famous for. You'll always be sure of a friendly welcome here. O’Neill’s has existed as a licensed premises for 300 years and is renowned for its ageless character, numerous alcoves, snugs, nooks and crannies.. 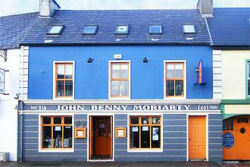 Located opposite the pier in Dingle Town, John Benny Moriarty's is a superb place to eat and be entertained. 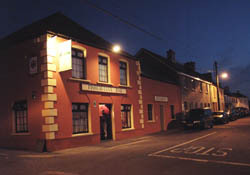 Your hosts, John & Éilís, are well known traditional Irish musicians, and their pub is one of the Peninsulas finest venues for music, song and dance. John Benny's serves food all day with a great selection of seafood and other dishes. 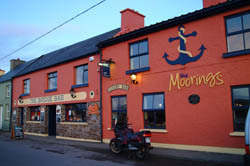 Thanks to “Brian” that told us about this pub! 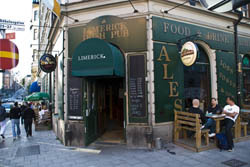 Located in the centre of Stockholm, near Hötorget, Konserthuset and Filmstaden, just a short walk from Central Station you'll find Stockholms original Irish pub, established in 1992. Happy hour is Monday - Friday 15:00 – 18:00. 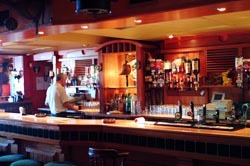 Full bar and restaurant menus. 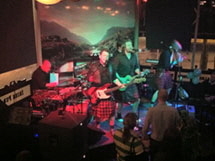 Live music most nights and all major sporting events shown live. for telling us about this pub!